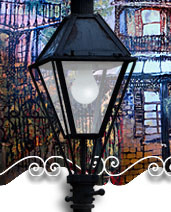 How did the French Market West story begin? Everyone has a story to tell about something that turned out to be successful. My association with French Market Grille West and its climb to excellence over the last 11 years is surely one of those stories that anyone would be proud of. FMG West has established a name for itself in the restaurant business throughout the CSRA. 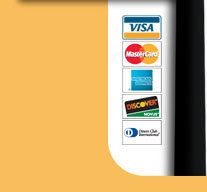 It continually serves high quality food at reasonable prices, prepared by the same people year after year. My good friends George “Yacht” Mitchell, Frank “Ayatollah” Chirkinian and I would stop off at our favorite watering hole for a beer with our golf buddies when we were all in town. We would lie about our golf scores, contemplate the “what ifs,” and enjoy each other’s company. On one of our visits, the restaurant manager at this watering hole informed us that he was closing the business at the end of the week. That’s when the three of us decided that if a locally owned restaurant, French Market Grille, could be cloned and made successful while located only 7 miles from the original, our watering hole could be re-born. 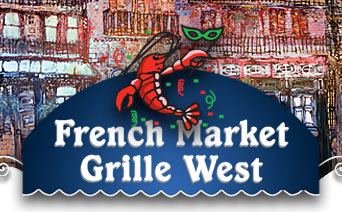 Opening under the name French Market Grille West and funding the owner of the original FMG was the obvious thing to do. However, we knew that maintaining the high level of quality that Augustans associated with the FMG name and strong management would be essential for success. One stipulation for funding the new restaurant was that we were to be hands off. We only had one instance where we wanted to be involved and that was adding one particular item to the menu. Over the years in his real job as the “man of golf” for CBS Sports, Frank’s travels had given him the opportunity to sample many variations of his hometown’s favorite sandwich. “Ayatollah” wanted a Philly Cheese Steak Po’ Boy included on the menu. The recipe that they developed was a “best of the best,” and his addition became a delicious asset to the menu. When did Jim become an integral part of the story? During the first few months of operation, it became obvious that FMG owner Chuck Baldwin was stretched too thin, and his part-time participation wasn’t going to be enough to make a success of the new FMG West. We decided that full-time, top management was essential to grow the company. We hired restaurant manager Jim Beck and that’s when things started to gel. With that one addition, we gained superb culinary skills and vast experience in the restaurant business. Success was on the horizon. What ever happened to Frank, George, and yourself? “Ayatollah” has since retired from CBS and now owns an exclusive private country club in Florida. “Yacht” passed away, and the watering hole hasn’t been the same since. Only his pictures remain on the walls, and his jokes and stories remain in our hearts and minds. He’s talked about and remembered frequently. I’m still in Augusta, retired from the golf business, but Frank and I still meet our out-of-town friends during the Masters Golf Tournament the first week of April each year. I help Jim, only with advice, when he asks. It’s hard to fix something that doesn’t need fixing. What would you say to someone that hasn't experienced French Market West? Whether you’re local to Augusta or are just visiting, I invite you to stop in and meet Jim Beck and see how, in the past 11 years, he has established a strong customer base by consistently serving delectable, high-quality Cajun food. If you’ve been to FMG West before, come back and enjoy the friendly smiles and familiar faces of our loyal employees and customers, many of whom have been with us from the beginning. 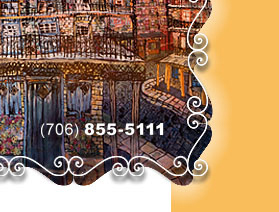 Whether you choose one of the many Cajun dishes from the menu or one of Jim’s unique, non-Cajun daily specials, you’ll be treated to a variety of delicious choices that offer excellence and quality. “Ayatollah” and I could not be prouder to have been a small part of Jim Beck’s continuing success. Its hard to go wrong with the Soft-Shell Crab Po'''' Boy.